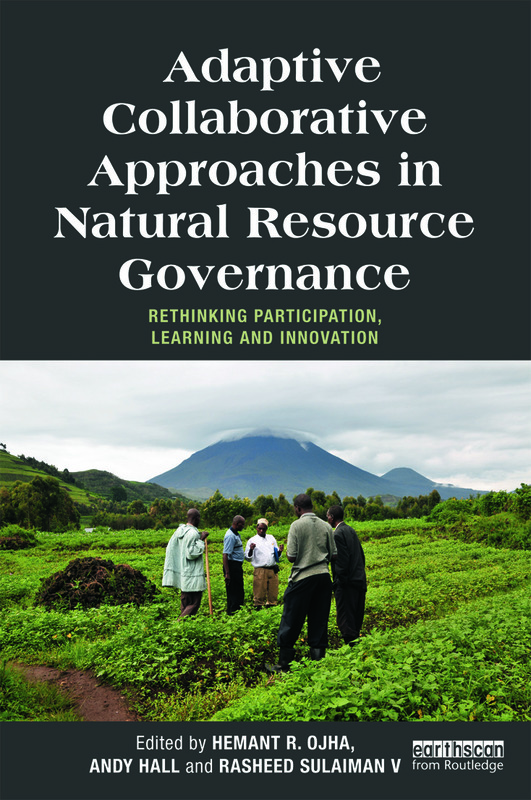 The purpose of this book is to showcase a range of approaches that consider learning and collaboration as central processes in agriculture and natural resources governance and management. These include four related and overlapping adaptive collaborative approaches – Adaptive Collaborative Management, Participatory Action Research, Social Learning and Innovation Systems. Despite these being generated in different institutional domains with somewhat diverse epistemological and policy orientations, the authors show that there are common themes among these approaches. The book presents a review of various adaptive and collaborative approaches to management developed to cope with the social and biophysical complexity of natural resource systems, including case studies from Bangladesh, Ecuador, Nepal and Zimbabwe. The contexts range from farmer field schools, to floodplain management and community forestry. The authors provide rich accounts of how adaptive collaborative approaches were applied to synergise different types of learning, foster collaboration among stakeholders, and nurture innovative development processes. Through its introduction and conclusion chapters, the book establishes a clear theoretical approach and identifies a set of practical methodologies for combining different systems of knowledge in a way that generates and maximizes innovation and the translation of research into practice.